We all want to buy cruelty free makeup and beauty products, but many times the problem is that we don’t have time to do research on brands before buying. We hope this cruelty free brands beauty list will help you find products that have not been tested on animals. One issue with finding truly cruelty free brands is that beauty brands can call themselves “cruelty-free” if they do not test their finished products on animals, but they can still buy ingredients from suppliers who are conducting animal tests. 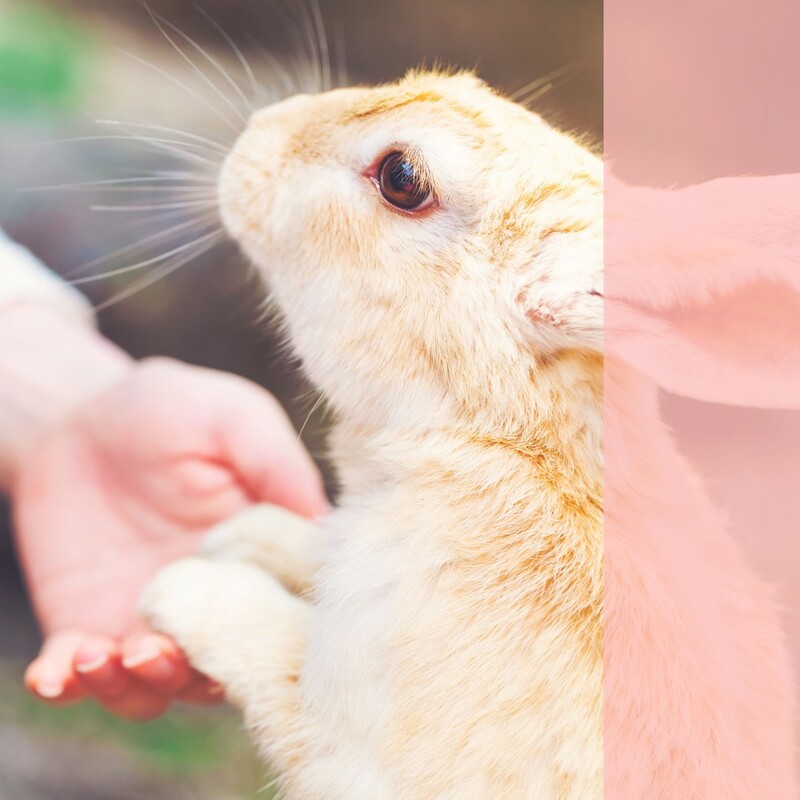 Leaping Bunny is the gold standard for cruelty free beauty products in the US, but not all cruelty free products have registered with Leaping Bunny. Choose Cruelty Free is the standard for Australia. We have done our best to include only companies that are completely cruelty-free, but it is impossible to know if brands are telling the truth. We investigate and ask A LOT of questions before adding brands to this list. As with everything else, it is always wise to do your own research. What about cruelty-free brands owned by parent companies who DO test? We believe that supporting animal-friendly companies goes a long way toward the eventual elimination of animal testing. If the parent companies see the successes of their brands who do not test, it’s a win. It’s also a win for the animal-friendly companies to get larger distribution in mass channels by being involved with huge companies. That’s our personal opinion here at My Beauty Bunny and we invite you to make up your own mind on the matter! Please note companies change their policies all the time – if you have information about a brand that is no longer cruelty-free, please contact Jen. Not sure if a brand is cruelty-free? Click here for my list of ways to find out if a brand is cruelty free and the precise questions you can ask for a complete answer. Please note that links below may be affiliate links which add no additional cost to you, but help to pay for the hosting and management of this site. **NOTE: This is not a comprehensive list, but some of you asked for a list of brands to AVOID. I will update if these change. Lorac - As of June 14th - Lorac was grey area but is now owned by Markwins so I'm checking to see if they are now cruelty free! (Here is their former response "LORAC does not support the testing of products on animals and we ask all suppliers to support this point of view and all suppliers state that they do so. LORAC does not use a third party to test on animals. LORAC does not sell in countries requiring animal testing." And here is their previous response (before the recent one): "Please note, LORAC cannot warrant or certify that all suppliers who say they do not test on animals in fact do not test on animals. Additionally, notwithstanding the statements of suppliers to LORAC, LORAC has no way of knowing what the “suppliers of the suppliers” are doing. In regards to the vegan ingredients there is no way to know for sure due to the lack of control over raw ingredients." What is the Best Cruelty Free Foundation? Who is My Beauty Bunny? My Beauty Bunny is a an award-winning, Los Angeles based top lifestyle, health, travel and beauty blog written by “Chief Bunny”, Jen Mathews and some of her animal-loving friends. Jen writes about cruelty-free beauty, health, lifestyle and travel products and services for guys and gals who can’t get enough hair, skin, makeup and other beauty products not tested on animals. Started in April 2009, My Beauty Bunny has become a huge hit with women (and men) who love animals and wish to purchase from brands who don’t test on animals. My Beauty Bunny focuses on finding the best products from companies who do not test on animals. We are NOT a strictly vegan blog, and many products posted about are not vegan. We do, however, have a vegan section (vegan products are labeled as such), so if you are vegan, check there first. We are positive that once you go cruelty free you’ll never go back. Recently on My Beauty Bunny!